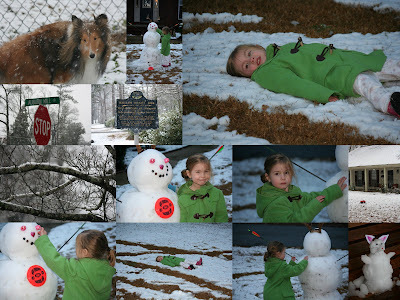 Sweet Home Alabama: Our snow day! Disclaimer... The snow man was made by our neighbors! The kids got too cold and didn't want to stay out long enough to build one for us. Maybe next time... The snow cat on the lower right was at the clinic.